Below are all back issues of Offramp Updates: Metaphysics For Life, which you can subscribe to from this site. <!-start repeat --> June 25, 2018 -- Great question from one of our readers! January 11, 2018 -- It's our Anniversary! Special limited time offer enclosed! September 28, 2017 -- When things get out of balance. June 26, 2017 -- New! Free Gift When You Join The Community! June 15, 2017 -- What is your favorite spiritual practice? June 06, 2017 -- Watch "The Zero Point In Your Heart"
April 20, 2017 -- A "search engine" for your Heart-modem? March 21, 2017 -- Just a quick reminder - it starts tomorrow! March 09, 2017 -- Free 48 Hour Video Access - Heart Brain Harmony - Starts Now! February 09, 2017 -- Free 48 Hour Access to Gregg Braden's "Missing Links" on Gaia TV! January 26, 2017 -- ...and this is what happens when you Do! December 29, 2016 -- Time to turn inward. December 15, 2016 -- A story I have never told in public. December 08, 2016 -- Is it really "too late"? December 01, 2016 -- Ho Ho Ho! The Dark Night of the Soul! November 16, 2016 -- A Mind Metaphor - Apocalypse Now? What is being revealed? October 26, 2016 -- A quick technique that connects heart and mind. October 18, 2016 -- What IF there is only ONE zero point? September 14, 2016 -- Why mind over matter is impossible. August 31, 2016 -- What is "Self-Help"? Redefined. 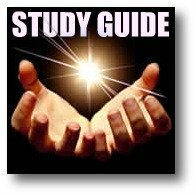 August 23, 2016 -- If you had problems with the Study Guide, please read this. August 17, 2016 -- Metaphysics might be even more important than I thought. July 28, 2016 -- What's really in your mind? July 19, 2016 -- What to do when bad things happen in our world. July 13, 2016 -- An easier way to get what you want. June 23, 2016 -- An uphill ride. June 02, 2016 -- A quick question (that could save me a lot of work!) Thanks! May 26, 2016 -- One of the most visited pages - and for good reason! May 18, 2016 -- How to apply metaphysics to your everyday life. May 12, 2016 -- What Is Spiritual Nutrition? May 01, 2016 -- And the winner is...!! March 28, 2016 -- Why has it been so long? April 02, 2015 -- What Is Spiritual Enlightenment? February 17, 2014 -- Remember Who You Are! February 06, 2014 -- Replay - THE MISSING PIECE - your link is here! February 04, 2014 -- THE MISSING PIECE - Free Class Tomorrow! May 09, 2013 -- Offramp Updates - What's New at Metaphysics-for-Life.com? February 11, 2013 -- Offramp Updates - What's New at Metaphysics-for-Life.com? October 11, 2012 -- Offramp Updates - What's New at Metaphysics-for-Life.com? April 19, 2012 -- Offramp Updates - Expansion Notice! February 21, 2012 -- Offramp Updates - What's New at Metaphysics-for-Life.com? December 06, 2010 -- Do you know how you know what you know?? September 21, 2010 -- Start Building A New Foundation For Your Life! August 19, 2010 -- Oops! I forgot.